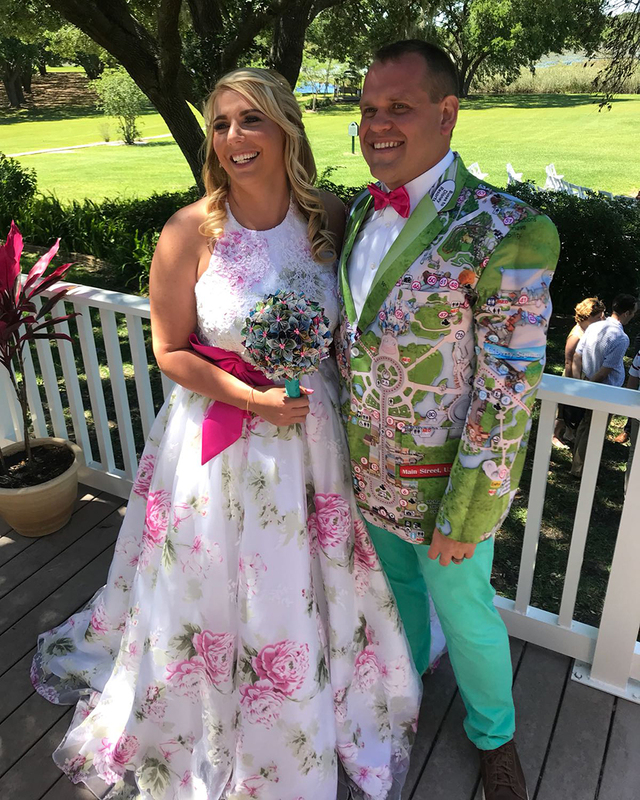 Ben and Kylie Story, two Central Florida residents (and self-proclaimed theme park fanatics) grabbed quite a lot of attention on social channels a few weeks ago when their jaw-dropping Disney Parks-inspired wedding attire hit Twitter. Ben, who regularly attends the International Association of Amusement Parks and Attractions (IAAPA) convention in Orlando, often creates special themed jackets to wear to the convention to really get into an adventurous spirit. Since theme parks have been – and continue to be – such a big part of their lives, Ben decided to create a very special jacket themed after Disney Park guide maps to wear for their 2018 wedding. But creating one inspired by our park maps was no small task – it required three months of searching for the proper material, and then sewing and tailoring before it was finished. 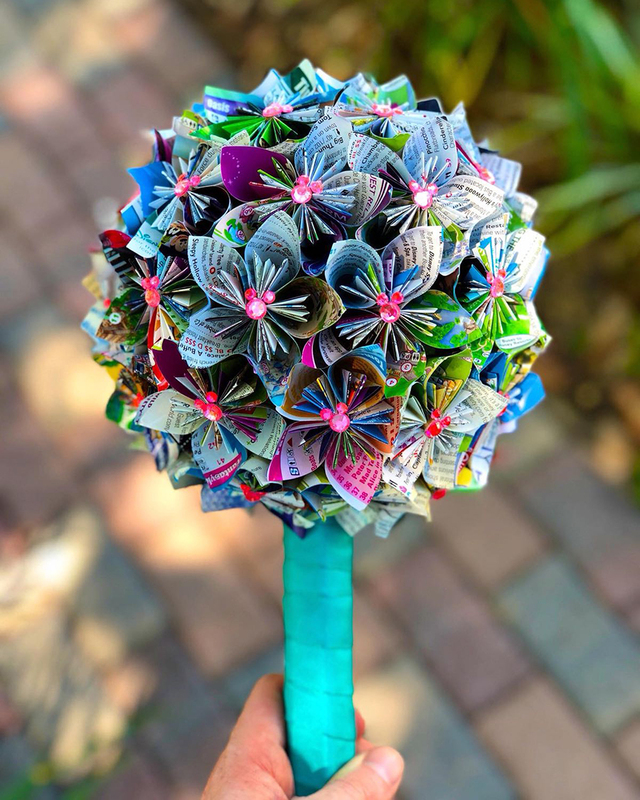 When Kylie heard about Ben’s plan, she decided to get into the park spirit, too, designing her bridal bouquet out of park maps – and even hiding a few Hidden Mickeys in there. Today the couple says they still get compliments on their wedding attire – especially when Ben wears his jacket out to the park for a day. But they don’t mind. “Life is short, so why not have a little bit of fun and stand out from the crowd!” Ben said. Check out the video above for more on the Story family.